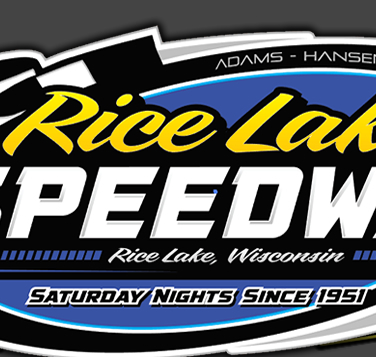 RICE LAKE, WI (May 25) – Mike Anderson made a late race pass in the Modified feature event, preventing Curt Myers from scoring double evening victories and at the same time becoming the first repeat winner of the 2013 racing season at the Rice Lake Speedway. Besides Anderson and Myer, other winners on the second night of the 2013 season included Josh Smith, Jimmy Randall and C.J. Wagner. The Sprint Cars of the UMSS were also on hand and their winners included Brooke Tatnell in the winged Sprints and Rob Caho Jr. who won the traditional non winged main event. With the biggest car count for a regular season event in over a year on hand, four heats whittled down the field for the Modified feature race with Pat Hoffman on the pole position. However, outside front row starter Mark Hessler took the early lead with Hoffman and Anderson chasing him. Myers quickly moved in to challenge and the battle for second was a good one while Hessler maintained a slight edge. Anderson drove into second and began to pressure Hessler for the lead, with Myers also closing in. The yellow flag flew when Jeff Spacek, in the top five and on the move toward the front, rolled to a halt with liquid trailing from the rear of the car. On the restart, Myers picked up the pace and he slid past Anderson for second and then dived under Hessler to take away the lead. However, Hessler and Anderson refused to go away and the top three engaged in a good battle for the top spot, going three wide in turn four at one point. Two more quick consecutive yellows slowed the action and set up a seven lap sprint to the finish. Myers held the lead but Anderson moved to the low groove and pulled in to challenge. Anderson pulled beside Myers and driving through turn four, slid past and took over the top spot. In the last couple of laps he extended his lead and drove on for the win. Myers finished a solid second and near the end Kevin Adams moved past Hessler for third with Ashley Anderson completing the top five. Nick Oreskovich took the early lead in the Super Stock feature with Eric Olson and Myers, who quickly moved up from the third row, applying pressure. After an early yellow flag, Olson got a quick jump on a restart and dove under Oreskovich to take over the lead with Myers challenging him for the top spot. Myers began to apply heavy pressure on Olson as he looked to the outside of him. Just as Myers pulled up beside Olson, Eric slowed with a flat left rear tire and he rolled to the infield as Myers took over the lead. Curt then started to build up a good sized lead while Ben Hillman and Dave Flynn were both on the move toward the front. Hillman was working the higher side of the track and was able to drive past Oreskovich and take over second. With twelve laps complete, a yellow was triggered by a spin and the field bunched. Hillman made a strong move on the green, and pulled up beside Myers, going for the lead. However, Myers was up to the challenge and fought Hillman off. Suddenly, Flynn was the driver on the move and he closed on Hillman for second. Using the low side, he drove under Ben with a few laps left to take over second, but by this time Myers had again opened up a few car lengths on the field and drove on for the win. Oreskovich finished in the fourth spot with Jason Forehand completing the top five. Smith was very strong in winning his first Midwest Modified main of the year. Joe Chaplin Jr led the early laps of the main with Smith, Ryan Viltz and Shane Halopka battling him for the lead. Chaplin was racing well, and while the other cars behind were close, they could not make a passing move. Smith moved up the track, got a good run on Chaplin and blew past him coming off a corner to take over the lead. Smith pulled a few car lengths on the field as the battle now shifted to second where Viltz was challenging Chaplin for the spot with Halopka right in the mix also. Viltz was finally able to race past Chaplin into second and he set off after Smith. However, Josh had built up a considerable lead and he was maintaining and actually building on it as the laps ran down. Smith remained fully in control and he raced to the checkered with Viltz, Chaplin Jr, Halopka and Grant Southworth chasing. Randall used his patented outside moves to dominate the Street Stock feature event. An all female front row saw Ashley Wahlstrom out speed Heidi Karshbaum at the start and take the early lead. Randall started in the third row but using the second lane, swept past Adam Soltis and then Wahlstrom to take over the lead. Once in front, he started to put distance on the field as Soltis fought hard to try and stay with him. With the race remaining under the green, Randall continued to edge away as Sam Fankhauser moved in to challenge Soltis for second. Sam was able to drive to the outside of Soltis where they raced side by side for several laps, battling for the position. Eventually Fankhauser was able to edge into the spot but by then Randall had a comfortable lead which he maintained to the finish. Soltis held on for third with Olson and Cody Kummer engaging in a fender banging duel for fourth that Olson eventually won. Jared Amundson was the early leader in the Pure Stock feature but he received heavy pressure right from the start with John Erickson, Jay Folz, Wagner and Jason Havel all battling with him for the lead. There was much scrambling going on and Wagner was able to find an opening and shoot into the lead. Havel eventually worked his way into second and set off after the leader. However, Wagner was running strong and in the last five laps after the final yellow, Havel pushed hard but had to settle for second as Wagner raced on for the win. Erickson ran a strong third with Hunter Van Guider charging up from the fifth row to finish fourth ahead of Nick Traynor. 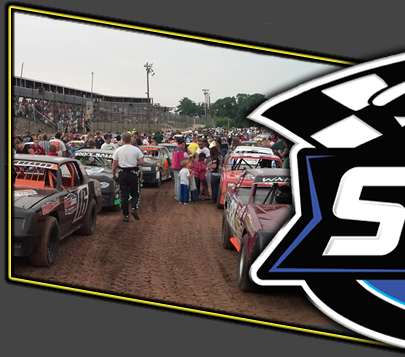 Regular racing action continues next Saturday night at 6:30 p.m. with the first midweek special of the season slated for June 11th when the George Rhoe Classic for Super Stocks will be held. 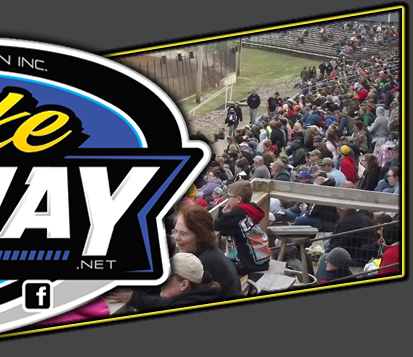 20 lap Feature – Mike Anderson(Colfax), Curt Myers(Cameron), Kevin Adams(Cameron), Mark Hessler(Menomonie), Ashley Anderson(Elk Mound), Al Uotinen(Superior), Kevin Eder(Ashland), Pat Hoffman(Rice Lake), Brent Prochnow(Colfax), Scott Hudack(Ashland), Steve Stuart, Bill Byholm, Brian Mikkonen, Steve Lavasseur, Scott Heikkinen, Dave Baxter, Matt Leer, Jeff Spacek, Tim McMann, Paul Brust.